Lube Oil Varnish Removal & Prevention. Group II base stock oils are susceptible to varnish deposit formation which leads to unit trip, bearing failure and premature fluid replacement. Group I lube oils have given way to Group II base stock oils which have lower solubility characteristics. Lower solubility means that the newer Group II lube oils cannot hold the same levels of soluble (dissolved) or insoluble (suspended) oxidation and thermal degradation by-products in the oil thus leading to more problems with sediment, sludge and deposits (varnish). Hy-Pro has the solution to make varnish vanish . . . The SVR (Soluble Varnish Removal) goes where other technologies can't, removing oxidation by-products while still in solution (dissolved) to remove varnish deposits that have formed over time and to prevent varnish from ever forming. Combine SVR with Hy-Pro COT or VUD technology for a complete ST lube oil conditioning system. Stop varnish before it stops you with SVR! Main Bearing Lube Elements & Non-Sparking Element Upgrades. Filter element sparking is now a recognized source of thermal fluid degradation along with pressure induced dieseling in ST lube and hydraulic control circuits. Improvements in filter media efficiency coupled with higher flow rates and more resistive Group II oils has brought filter element spark discharge to the forefront in many power plants. A common reaction to sparking has been a migration to coarser filter media selections (i.e. 25~40 micron nominal) to try to minimize the occurrence of sparking. Although sparking might be reduced with such choices fluid cleanliness and bearing surfaces suffer as ISO Codes trend higher over time. Hy-Pro has developed a full range of NSD (Non-spark discharge) filter elements for any lube or hydraulic application that maintain low ISO Codes and stop thermal fluid degradation associated to element spark discharge. Ask us about Hy-Pro NSD filter element upgrades. EHC Phosphate Ester Fluid Maintenance Solutions. Steam turbine EHC systems typically utilize fire resistant phosphate ester fluids which can present certain contamination challenges resulting in servo valve failure or premature fluid replacement. However, when properly maintained phosphate ester fluids not only provide the safety of fire resistance and years of reliable EHC system operation free of contamination related servo valve failures and indefinite fluid life. Hy-Pro has the full solution for phosphate ester to properly manage and eliminate problems with acid production, water contamination, dissolved metals, sub-micron products of thermal degradation, dark fluid, sludge and deposits and particulate contamination. Hydraulic Control Element Upgrades. Hy-Pro DFE rated elements yield cleaner fluid in EHC systems in pump discharge and servo pilot filters. 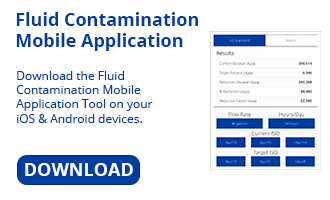 Prevent servo valve failures caused by contamination related failure. Hy-Pro Dynafuzz element upgrades feature stainless steel fiber media that is impervious to the effects that acid formed in phosphate ester can have on some glass medias. DFE rated non-sparking Dynafuzz elements provide superior fluid cleanliness and solve the media migration issue in phosphate ester EHC fluid. Lube Oil Water Removal by Vacuum Dehydration & Coalesce. Hy-Pro offers two primary types of technologies to address the common problem of water getting into steam turbine lube oil reservoirs. Hy-Pro Vac-U-Dry vacuum dehydrators rapidly remove free and dissolved water to < 10ppm combining heat, vacuum and intuitive design for ease of operation. Hy-Pro COT turbine oil coalesce skids remove water from oil with mechanical coalesce and separator filter elements yielding > 95% single pass free water removal efficiency with a performance guarantee to < 150 ppm under normal operating conditions. Both the VUD and COT skids include high efficiency on-board particulate removal filters to achieve ISO Fluid Cleanliness Codes < 16/14/11. FD and ID Fans. DFE rated filter element upgrades ensure reliable fan operation and low ISO Codes. Dedicated off-line Filter Panels and skids are also suitable where fans are not fitted with sufficient contamination control. The V1 Portable Mini-Vacuum Dehydrator is ideal for solving periodic or continuous water issues on FD and ID fan reservoirs. Boiler Feed Pumps and Seal Oil. Many BFP or Seal Oil systems utilize antiquated filtration (i.e. Auto-Kleen) with coarse wire mesh filtration leaving ISO Codes excessively high for optimum reliability. Upgrade elements to Hy-Pro DFE rated elements, and housings to Hy-Pro DFN series duplex filter assemblies or MF3 simplex housings featuring DFE rated high efficiency glass media elements for years of reliable performance.